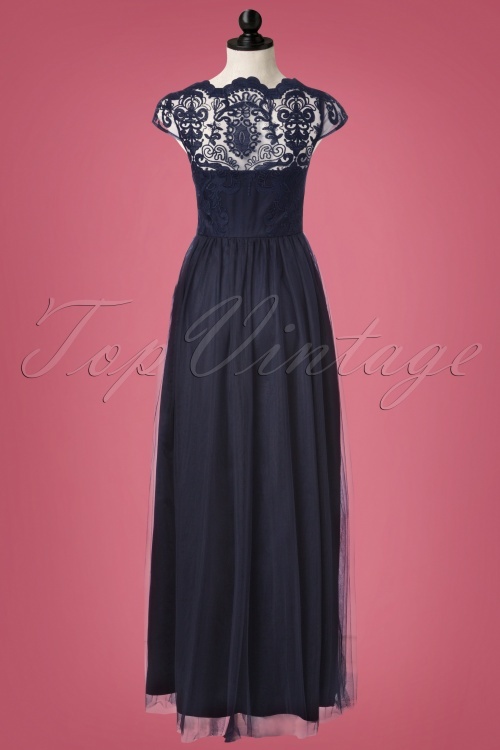 This 50s Bealey Maxi Dress in Navy is a real showstopper! 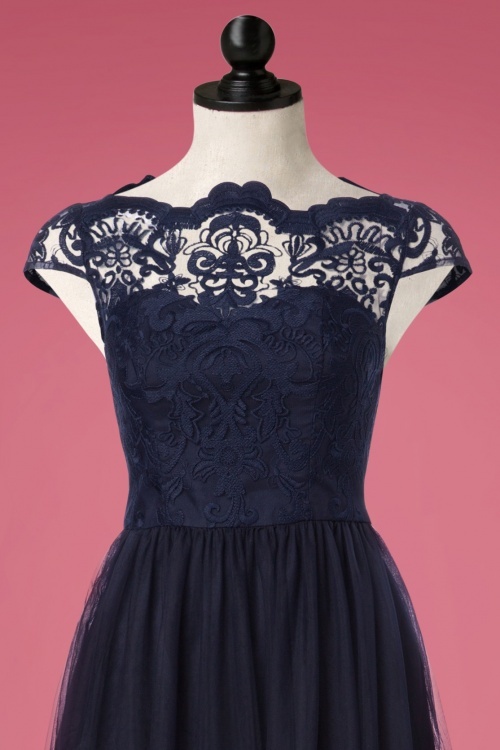 Pretty in tulle and lace? Definitely! This breathtakingly beautiful dress will draw all the attention. 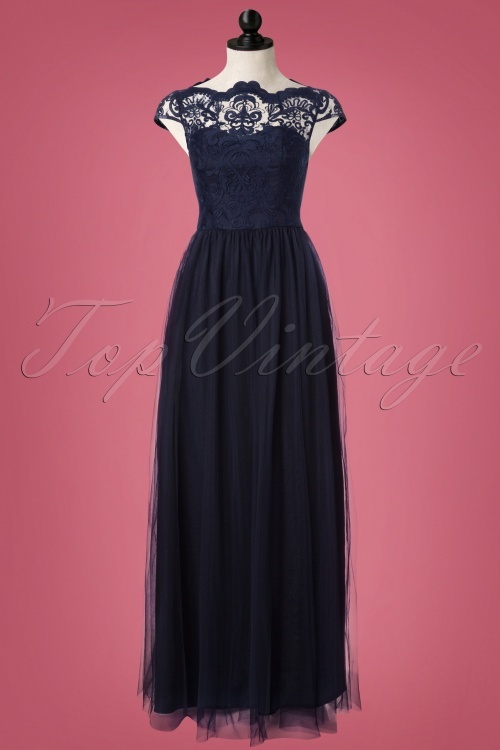 She features a sweetheart neckline covered with romantic scalloped lace and a true fairy tale skirt with 2 layers of dark blue tulle. Made from a sturdy yet supple fabric (doesn't stretch!) and is fully lined with a dark blue satin-like fabric for a lovely fit. Own the night, you fabulous Princess!